Gorsuch faces another long day of grilling by Democrats trying desperately to derail Trump’s nominee, for the simple reason that he was nominated by a Republican. 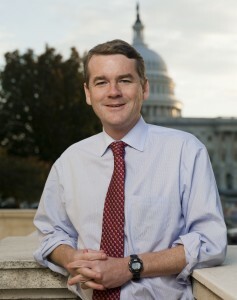 And one Democrat, U.S. Sen. Michael Bennet, appears to be holding out his vote because of ambition, according to the New York Times. A vote for the nominee could play well with more centrist voters back home, but draw the ire of progressives there and across the country. And Mr. Bennet is seen as someone who could have a future as a national Democratic figure. For once we believe the New York Times. After all, Bennet’s brother is the editorial page editor there, so reporters would certainly have the inside scoop.